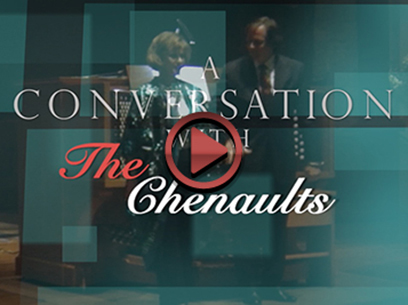 "Phantom Of The Opera Medley"
Friends Of Aeolian-Skinner Organ Opus 1024 (FASO) Concert Series' Artistic Director, Margaret Lacy sits down with the famous Organ Duo, The Chenaults of Atlanta, Georgia for an intimate chat following a concert at St. Andrew's Episcopal Church in Amarillo, Texas on November 18, 2012. 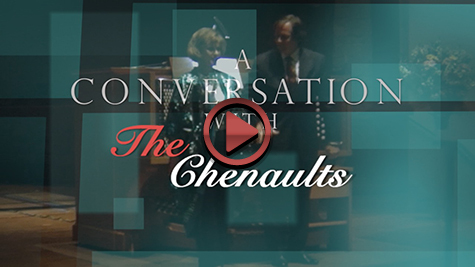 The recorded interview is insightful sprinkled with live performance clips of some of the Chenaults most beloved and requested concert pieces. 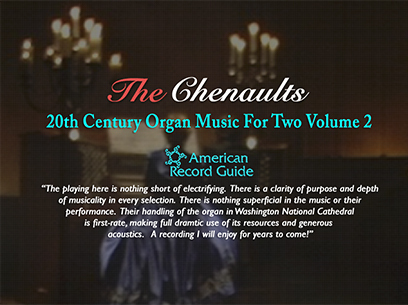 The Chenaults play newly commissioned works for two in their fourth volume on Gothic Records. Every work is a world premiere recording on this qualtiy disc! 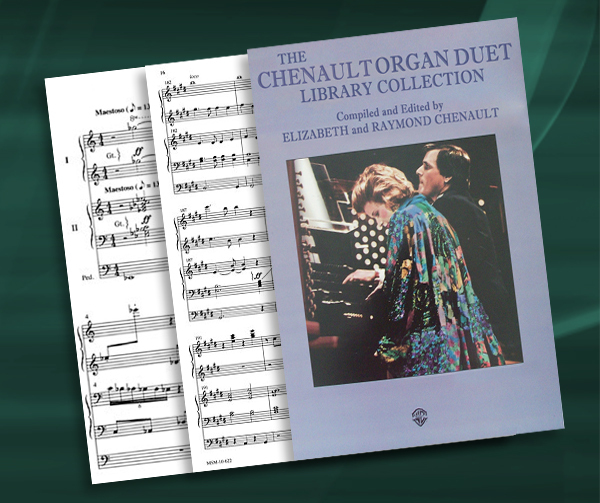 Explore online a collection of 4 volumes of published scores commissioned, compiled and edited by Ray and Beth Chenault! 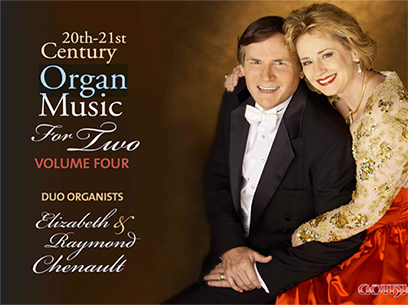 Watch this remarkable duo performing clips and samples of some of their most iconic pieces. Watch and share online now! 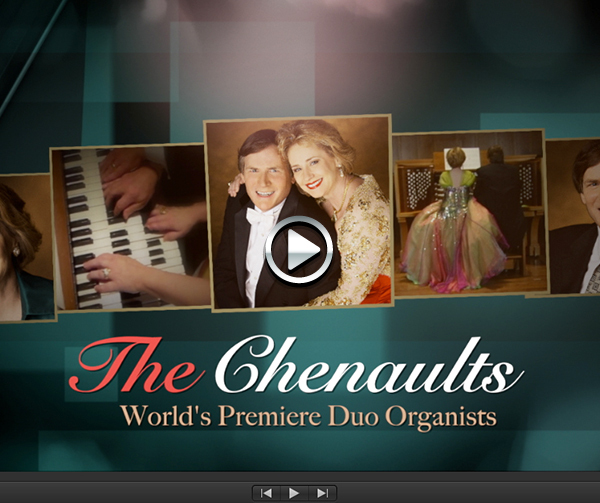 Check back soon for the release of The Cheanults' music video featuring "Phantom Of The Opera"! View "4 Hands, 4 Feet Concert" video press release from the Ledger-Enquirer in Columbus, Georgia. 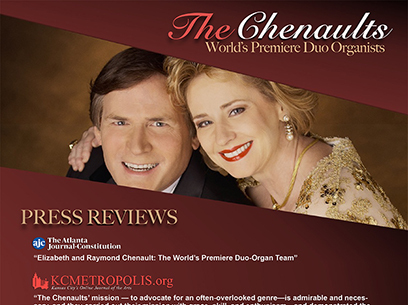 Visit The Chenaults Press Kit area for vital promotional materials available for download. 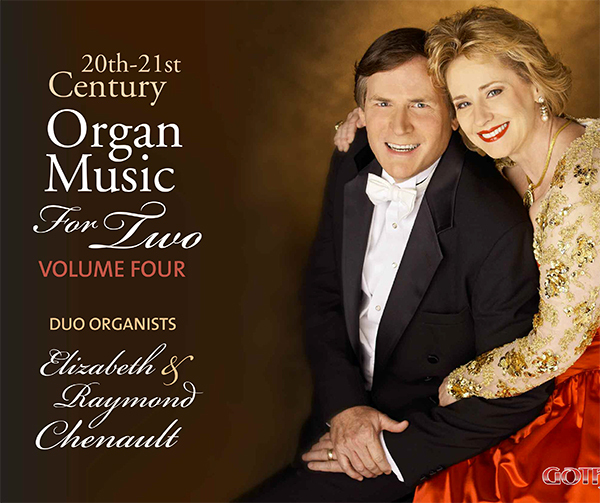 The Chenaults play newly commissioned works for two on their latest CD release! 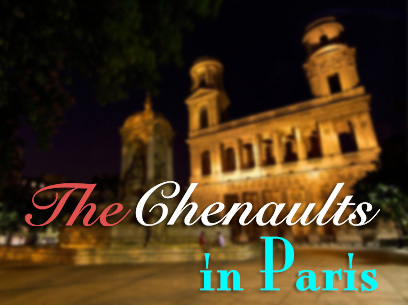 The Chenaults to Perform in Paris France! Paris Concert Date: July 2016. 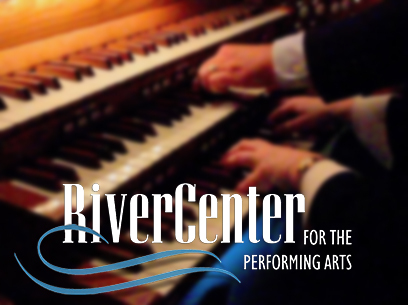 Discover where else they will be performing this season. 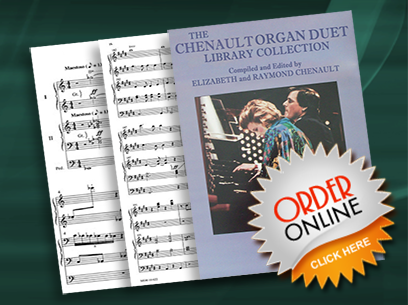 Four published volumes of commissioned Organ Duets available online now! 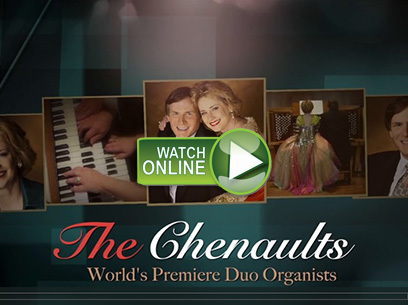 Watch this remarkable duo performing clips and samples of some of their most iconic pieces. View & share! Find out what the critics such as The New York Times and others are saying about this amazing duo! 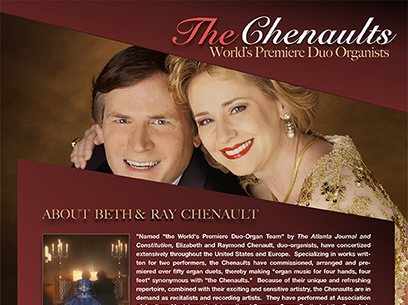 Enjoy getting to know Ray & Beth viewing this inightsful interview sprinkled with live performance clips! 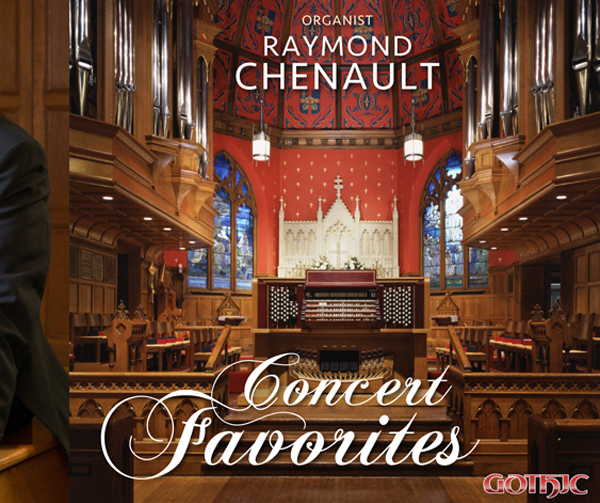 Now available online are all 4 digital CD albums of The Chenaults performing original and commissioned works. 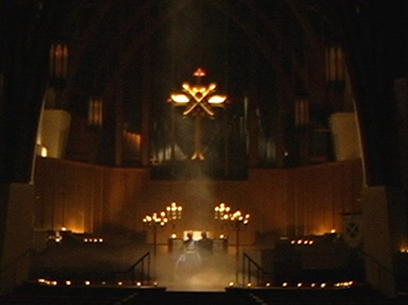 musicians -- will enjoy and appreciate."